Crowdcube, the pioneering investment crowdfunding platform, today announced that it has raised £6m of investment to further accelerate its growth. The investment is led by Numis, a leading UK stockbroker and corporate advisor. Tim Draper and London-based Draper Esprit have also joined this new funding round alongside existing backers Balderton Capital, one of Europe’s largest venture firms. The investment will enable Crowdcube to accelerate growth, continue the expansion of its team, ramp up new product development including the creation of a new solution for companies going public, and invest further in its acclaimed marketing activities. “We’re on a mission to help more businesses raise the finance they need to grow, create jobs and deliver returns to investors. We’ve dominated the democratisation of seed-stage equity investment since we launched in 2011 and we’re determined to do the same for larger businesses. We want to put the Public back into IPO,” commented Darren Westlake, CEO and co-founder of Crowdcube. Numis, which has raised £10bn for businesses since 2009 through more than 46 IPOs, will work with Crowdcube and the regulators to enable large high growth businesses who are ‘going public’ by listing shares on the London Stock Exchange’s Main Market or AIM, to access individual investors. 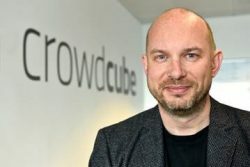 Simon Cook, CEO of Draper Esprit added: “Crowdcube is breaking out as the leading financial tech platform for connecting communities of investors with fast growing companies in the world’s most developed crowdfunding market. Crowdcube is rapidly expanding interesting products from small VC rounds to larger bonds, funds and now IPOs; using the power of the crowd to reduce costs, time and increase transparency for businesses and investors, within the UK’s leading regulatory regime.” Simon Cook will represent Draper Esprit at Crowdcube. 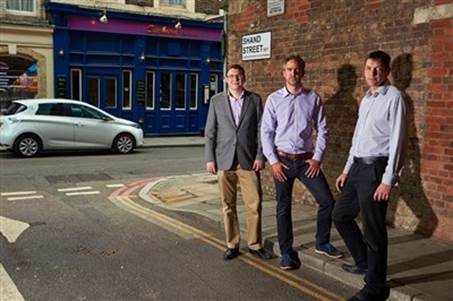 Crowdcube celebrated its first company exit in July 2015 when E-Car Club, which raised investment in 2013, was acquired by Europcar and delivered a multiple return to its investors. Crowdcube has amassed an investor community of nearly 200,000 and attracts seasoned entrepreneurs of well-known and established, often VC-backed, businesses like Eden Project, JustPark, River Cottage and Camden Town Brewery, as well as start-up companies. Almost £100m has been successfully invested through the site since its launch in 2011. Crowdcube has also secured more investment for businesses in 2015 than the rest of the market combined, according to data from Crowdsurfer, an independent crowdfunding market data researcher.